Participants mapped things to try that are “quick, easy and cheap” or longer-term. The day was focused on experimenting with simple ways of deepening and improving our relationship. 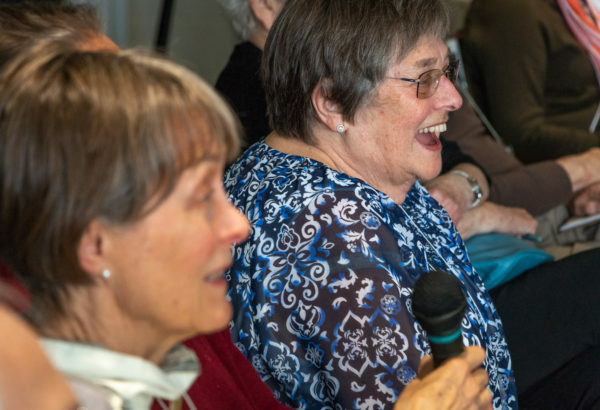 Karen Fisher of the Beth Israel community has worked with the UFP Community Conversations Team in designing two events. Sharing positive energy and momentum in the closing circle. 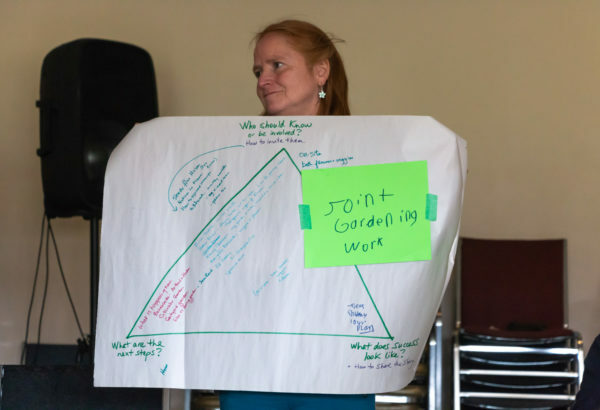 Gardening together — one of five simple ways participants proposed we spend more time together over the coming months. 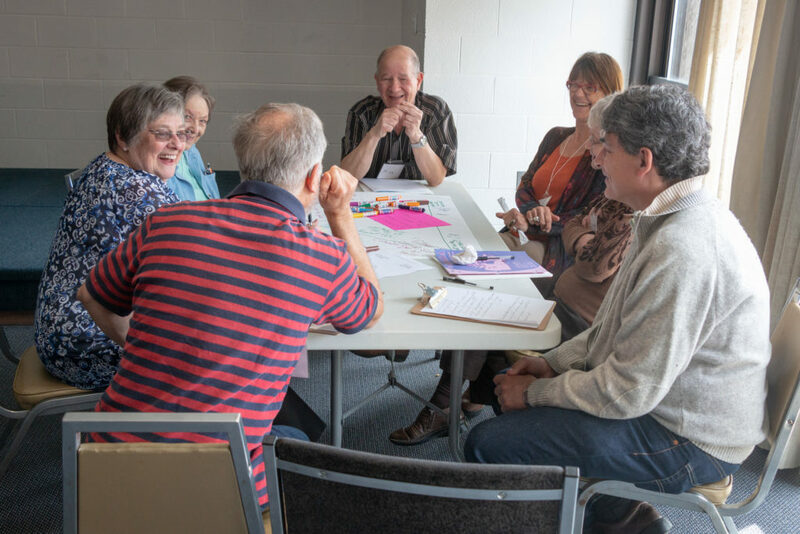 At a 4-hour workshop and lunch, invited and hosted by members of both communities, we got to know each other better and explored ways of deepening our 10-year partnership in a shared space. We learned a great deal about each other’s dreams and needs, hopes and fears. 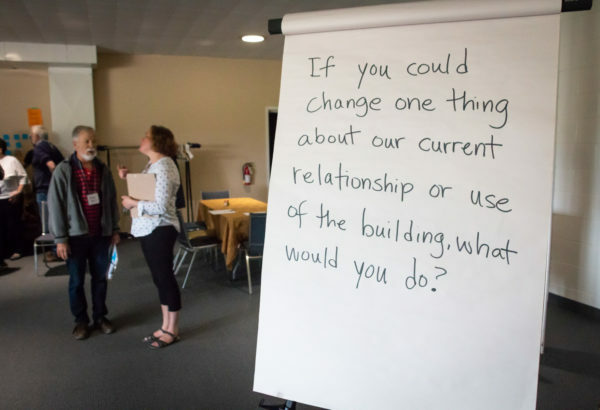 Mostly, we looked for ways to spend more time together as we consider the options and implications of changing what has been largely a landlord-tenant relationship. It has been comfortable and served us both well — but we seem to share a question. Can it be more? What might that make possible that is not possible now? 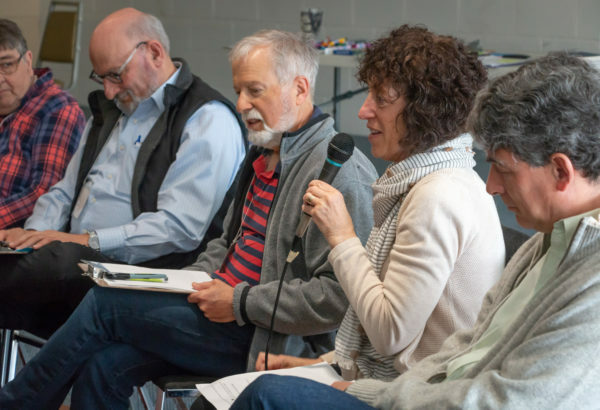 UFP members learned that the Beth Israel community spends more than 80% of its time and resources on building issues. 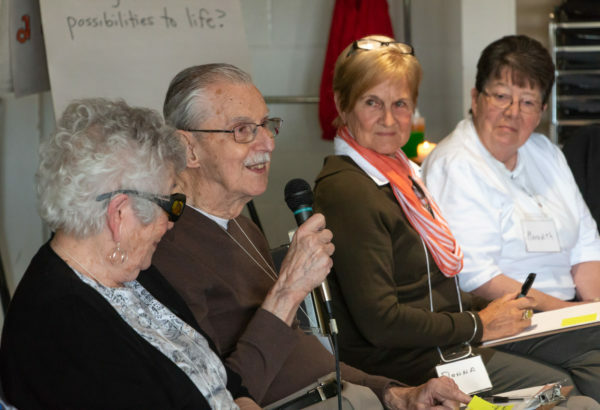 The Beth Israel community discovered that the Unitarian congregation sometimes longs for a place that feels more like home, and can be a hub of community and social justice activity. We all discovered some easy possible ways to collaborate, starting by building on things we are already doing. The process, based on participatory methods from our 2+ years of Community Conversations, led to the five shared projects below. Which might you want to join in? 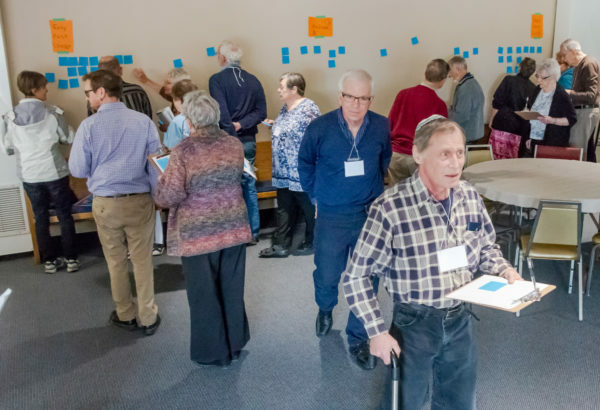 A group is exploring gathering this summer to learn some songs from both traditions, and sing them at services in each congregation in the fall. A group is diving into jointly curating and hosting a film and dialogue series this coming year, building on many current interests and activities. From food issues to refugee sponsorship to indigenous reconciliation, we are active in the community in many ways. What if we welcomed each other’s members into some of those efforts? There were ideas for a fun fair, a parade float and more. A simple way to care for and enhance our shared space, while spending time together. Music… Gardening… A shared film series… Joint social justice work… Family activities… More than 30 members of the UFP and Beth Israel communities proposed and began work on easy ways of getting to know each other better in the coming months, and deepening our two congregations’ relationship.